BNP senior leader Khandaker Mosharraf Hossain on Sunday said their party will force the government to accept their demand for holding the next polls under a neutral administration through a street movement if it does not reach an understanding over it. “We would like to say we’ll surely join the 11th parliamentary polls, but not under Sheikh Hasina. Our leader (Khaleda) will unveil the election-time neutral government’s formula at a suitable time and then we’ll go to people and observe the government’s attitude,” he said. BNP arranged the programme at Dhaka Reporters Unity (DRU), marking the 41st death anniversary of great national leader Maulana Abdul Hamid Khan Bhasani. 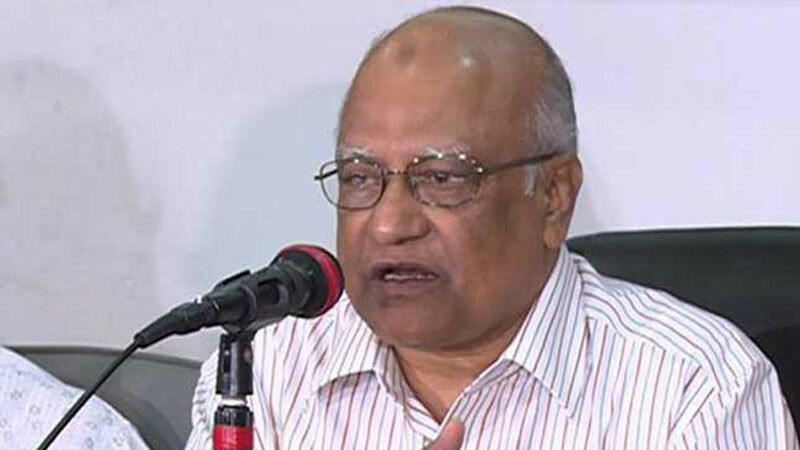 Mosharraf, a BNP standing committee member, said Awami League will not be able to hang onto power further by holding a lopsided election like January-5, 2014 one deceiving people. He urged BNP leaders and activists to get ready to take to the streets to force the government to hold the election under a neutral administration. About the upcoming Rangpur city polls, the BNP leader said their party will join the election to observe the attitude of the government and the Election Commission. Mosharraf recalled the colourful political life of Maulana Abdul Hamid Khan Bhasani and his immense contributions to the nation.